The 2017 Rexton SUV from SsangYong has been revealed ahead of its official launch and we know its design, specifications and features much earlier to the Seoul auto expo. The revamped edition of the car sports a large, wide look which now comprises of bigger headlights, fog lights and has an aggressive look to it. The car’s rear side was not showcased in the images released but going by the front grille, we can strongly speculate that there will be equally large lights and a broader finish on the rear end. The outgoing version of the Rexton SUV isn’t particularly an impressive model with lackluster design. But, the newer car seems to be improved in every direction and the designers have tweaked wherever required to make it appealing. The powertrain and the body of the car is mounted on a large giga steel body platform. The platform has an astonishingly large 2,865mm wheel base and is 4,850mm long which should offer enough seating space for multiple passengers on board. The car’s primary model will be powered by a 2.2-liter diesel engine and an optional choice would be a 2.0-liter petrol engine variant. Engine choices do confirm that the SUV should be close to production stage and may be available in stores before the end of this year. It will be available with rear wheel drive system and an optional all-wheel drive design. A posh finish is carried within the interiors as the large SUV features a wide dashboard with a large 9.2-inch screen to control the infotainment system. It supports Android Auto and Apple CarPlay for easy connectivity on the go. An around view monitor is mounted on the SUV so that you can park it in tight space without having too much trouble. Given the wheelbase and size of the model, it’s not easy to park without these important add-ons. Many aspects of the design are inspired by the manufacturer’s home country Korea. The 2017 SsangYong Rexton SUV borrows design elements from the Korean mountains, and the country’s popular polar bears. It is a modern, trendy car that equally has a strong foot on its roots and delivers the best of both worlds. 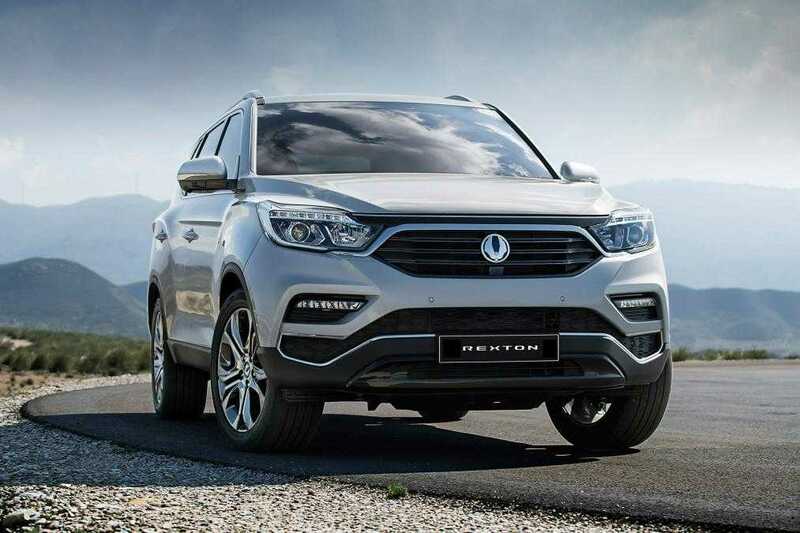 The Rexton is expected to be launched during the Paris auto show this year and soon to go to the stores. The family sized SUV focuses on comfort, usability and fuel efficiency to provide a complete experience for its customers.